I once thought of myself as rather clever. I had managed to get myself on top of one of the desks in the office area just outside Stanley’s cubicle. The narrator had just introduced the game for the billionth time. But not this time, no! I had climbed a chair, mounted a desk, and vaulted a cubicle divider, in a game that has no jump function. Now, the window was within reach. I climbed through. Finally! I had escaped the never-ending cycle that is The Stanley Parable. I had cheated the game. I had, in essence, beaten it the only way that could truly be considered victory. As it turns out, I am not that clever. Ultimately, that’s what this game is all about. It acts as an examination of narrative, in both video games and in general media. Presented with a narrator dictating your actions, game-defining choices come into play and your actions can either correspond with, or defy, the narrator. There are a good dozen endings to be discovered in the winding, shifting, physics-defying halls of Stanley’s office building, each more bizarre and thought provoking than the last. The narrator is as much a character as you are, with endings having him kill you, forcibly restart the game when you defy him too much, or even one where you gradually drive him into a state of depression. All the while, The Stanley Parable aims to make you think. You’re laughing while you do so, as the game is terribly witty, but there will be moments where you genuinely will want to stop and ponder the philosophical implications of what you are doing. The Stanley Parable is an experiment in narrative. Is Stanley a hero, a villain, or another cog in the machine? That’s for you to decide… or perhaps you have no choice at all. 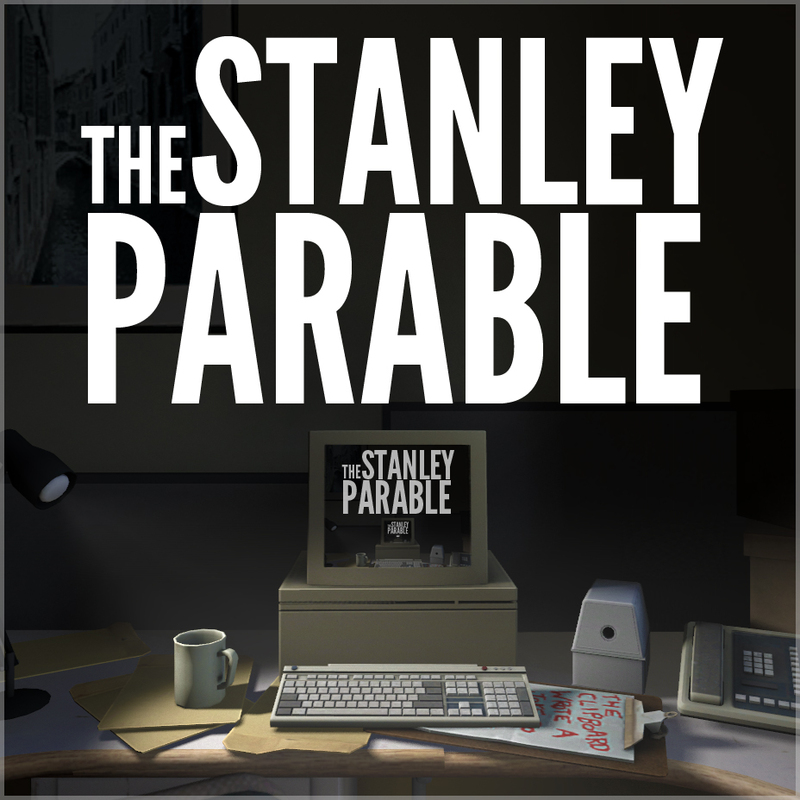 If you’d like to find out for yourself, or simply wish to have your brain picked by a questionably neurotic narrator, The Stanley Parable is available on PC through Steam for $15.